Spring Into Summer Camp Fun: Robots Are Coming to the Mall! Spring Into Summer this Saturday, May 20, when your kids can. 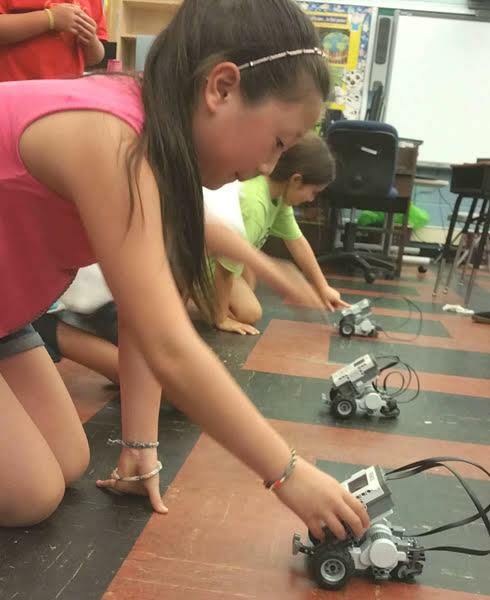 . .
It’s Ready, Set, Race as these Little Ivy Academy campers line up the robots they’ve created & coded during Little Ivy’s RobotMakers summer camp week.
. . . Build & Program robots. . . Create & Code arcade video game and apps. . . Build & Program robots. . . Animate digital stories, and more. . . just as campers ages 6-14 will be doing at Little Ivy Academy’s summer camps at locations near you! With just a month to go until the start of summer, Spring Into Summer promises to be an “all-things summer” sampler for kids of all ages, including exhibits and information about summertime attractions, destinations and activities. It also will feature games, prizes, raffles and more. Sponsored by NJ Kids On the Go, admission is free! 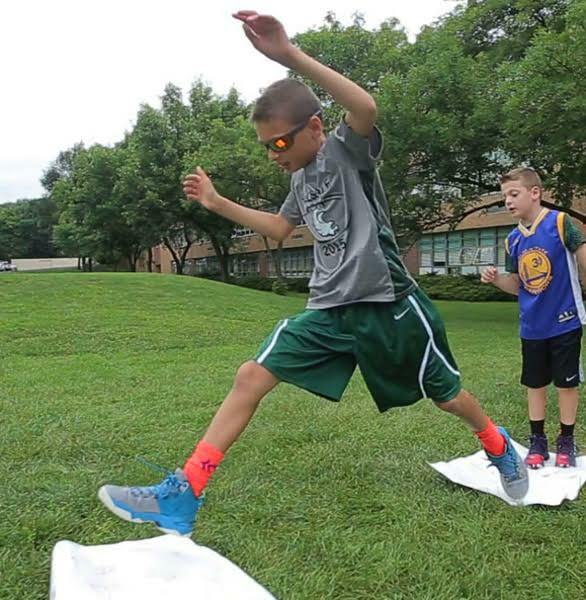 These campers are making huge leaps while testing the coding for one of their robots by following their code instructions during an outdoor game at Little Ivy Academy’s RobotMakers summer camp week. Follow your search for summer fun to Paramus Park from 12 pm-3 pm on Saturday, May 20. Spring Into Summer will be in the inside court near the Panera Bread mall entrance. For directions and additional information call Little Ivy Academy at 201-444-8400 or visit www.littleivyacademy.com/events.html. Meanwhile, discover more about Little Ivy Academy’s summer camp programs, where campers can. . . Build & Code Robots, Video Games, Apps & Websites, Film Special Fx Videos, Create & Deploy Spygear, Invent Electronic Smart Gadgets & more, at one-week camps, including plenty of outdoor fun & extended hours, too- www.littleivyacademy.com/summercamp.html.